We have developed a methodology to create quantitative scenarios and roadmaps towards low carbon societies in Asia. 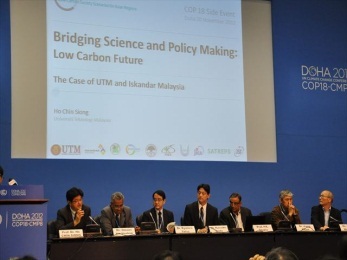 The event will present our latest scientific findings and feedback from policy-makers, mainly on 1) Ten actions toward Low Carbon Asia, 2) Iskandar Malaysia Low Carbon Society Blueprint, 3) Asian challenges to develop sustainable low carbon society based on scientific approach and policy initiatives. Prof. P. R. Shukla, Indian Institute of Management, India. Prof. Dr. Ho Chin Siong, Universiti Teknologi Malaysia, Malaysia. 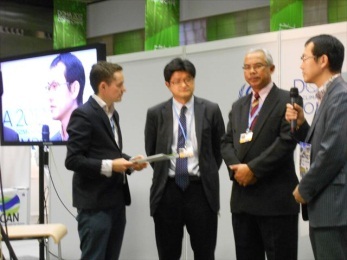 Dr. Ryutaro Yatsu, Ministry of the Environment, Japan. Mr. Kyosuke Inada, Japan International Cooperation Agency, Japan. Dr. Shuzo Nishioka, Institute for Global Environmental Strategies, Japan. Mr. Omairi Hashim, Putrajaya Corporation, Malaysia. 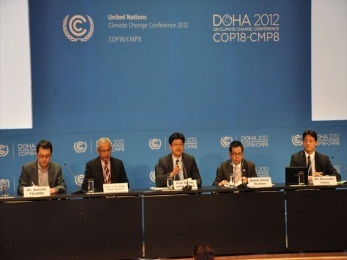 This side event is partially funded by S-6 project supported by Environment Research and Technology Development Fund of the Ministry of the Environment, Japan (MOEJ); and "Project for Development of Low CCarbon Society Scenarios for Asian Regions" under Science and Technology Research Partnership for Sustainable Development Program (SATREPS) supported by Japan International Cooperation Agency (JICA) and Japan Science and Technology Agency (JST).